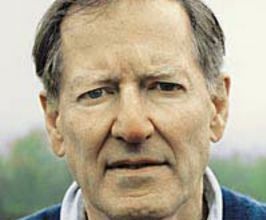 George Gilder is an investor, writer, and economist. Gilder is the Chairman of George Gilder Fund Management, LLC, host of the "Gilder Telecosm Forum" and Publisher of the "Gilder Friday Letter." He is also the co-founder and a Senior Fellow at Discovery Institute where he directs Discovery's program on high technology and public policy. Gilder served as the former Editor in Chief of the "Gilder Technology Report" (published by Gilder Publishing. LLC and Forbes Inc. from 1996 to 2007). Born in 1939 in New York City, Mr. Gilder attended Exeter Academy and Harvard University. At Harvard, he studied under Henry Kissinger and helped found Advance, a journal of political thought, which he edited and helped to re-establish in Washington, DC after his graduation in 1962. During this period he co-authored (with Bruce Chapman) "The Party That Lost Its Head." He later returned to Harvard as a fellow at the Kennedy Institute of Politics and editor of the Ripon Forum. In the 1960s Mr. Gilder also served as a speechwriter for several prominent officials and candidates, including Nelson Rockefeller, George Romney, and Richard Nixon. In the 1970s, as an independent researcher and writer, Mr. Gilder began an excursion into the causes of poverty, which resulted in his books "Men and Marriage" (1972) and "Visible Man" (1978); and hence, of wealth, which led to his best-selling "Wealth and Poverty" (1981). Gilder pioneered the formulation of supply-side economics when he served as Chairman of the Lehrman Institute's Economic Roundtable, as Program Director for the Manhattan Institute, and as a frequent contributor to A.B. Laffer's economic reports and the editorial page of "The Wall Street Journal." In the 1980s he also consulted leaders of America's high-technology businesses. According to a study of presidential speeches, Mr. Gilder was President Reagan's most frequently quoted living author. In 1986, President Reagan gave George Gilder the White House Award for Entrepreneurial Excellence. In 1986 Gilder was made a Fellow of the International Engineering Consortium. The investigation into wealth creation led Mr. Gilder into deeper examination of the lives of present-day entrepreneurs, culminating in many articles and a book, "The Spirit of Enterprise" (1986). The book was revised and republished in 1992. That many of the most interesting current entrepreneurs were to be found in high technology fields also led Mr. Gilder, over several years, to examine this subject in depth. In his best-selling work, "Microcosm" (1989), he explored the quantum roots of the new electronic technologies. A subsequent book, "Life After Television," was a prophecy of the future of computers and telecommunications and a prelude to his book on the future of telecommunications, "Telecosm" (2000). Mr. Gilder's book "The Silicon Eye" (2005) travels the rocky road of the entrepreneur on the promising path of disruption and celebrates some of the smartest and most colorful technology minds of our time. In this fascinating narrative of personality and technology, Gilder shares his insider knowledge of Silicon Valley and illustrates how the unpredictable mix of genius, drive, and luck that can turn a startup into a Fortune 500 company. As well, Gilder has published "Israel Test" (2009) and "The Scandal of Money" (2016). Gilder Publishing produced the "Gilder Technology Report" and the annual Gilder/Forbes Telecosm Conference, both of which offer elite analysis of ascending and disruptive technologies affecting management and investment decisions of investors, executives, engineers, and entrepreneurs. Mr. Gilder is a contributing editor of Forbes magazine and a frequent writer for "The Economist," "The American Spectator," the "Harvard Business Review," "The Wall Street Journal," and other publications. All American Speakers is a speakers bureau and booking agency providing information on booking George Gilder for speaking engagements, personal appearances and corporate events. Contact an All American Speakers Bureau booking agent for more information on George Gilder speaking fees, availability, speech topics and cost to hire for your next event. Please Note: All American Speakers Bureau acts only as an entertainment broker/producer for corporate functions, private engagements and special events. All American Speakers Bureau does not claim or represent itself as the exclusive agent or management of George Gilder or any artist on this website. Speaker fees are determined based on a number of factors and may change without notice. Fees often vary based on a number of factors including: speakers schedule, supply and demand, length of presentation, location of event and other factors. Fee Ranges listed on this website are intended to serve only as a guideline. In some cases, the actual price quote may be above or below the stated range.